Sometimes lyrical brand mentions lead to major success. Other times, to lawsuits and bans. But each tells a fascinating story. "Where you drink champagne and it tastes just like Coca Cola…C-O-L-A Cola." Many have said that Coca Cola demanded the lyric be removed from the song. But that is a myth. Very few brands turn down the free publicity of being mentioned in a hit song. But it is true that the song was re-recorded and the Coca Cola reference was taken out and replaced with "Cherry Cola" instead. But the reason wasn't pushback from Coca Cola. It was pushback from the BBC. The British Broadcasting Corporation had a long-standing policy against product placement and anything that smacked of advertising on the public airwaves. Therefore, any song that mentioned a brand name was instantly banned. So the Coca Cola lyric in Lola meant no airplay in the UK. And the Kinks weren't about to let that happen. The Kinks released Lola in 1970. (Wikimedia Commons) The problem was the Kinks were on a U.S. tour when they got the news. Ray Davies completed a concert in Minnesota, rushed to the airport and flew to London where the Lola master tapes were. He booked a short recording session to switch the lyric from "tastes like Coca Cola" to "tastes like Cherry Cola." But he couldn't get a good take, ran out of time and had to rush back to the airport to make the Kinks' next gig in Chicago. And right after that show, he rushed to the airport to fly back to London to try the recording again. And after travelling 16,000 miles, or nearly 26,000 kilometers, he finally got it right. The Cherry Cola switch was worth it. Lola became a huge worldwide hit and its success gave the Kinks more creative control and financial comfort from that point on. But what happens when a hit song is banned because its title, chorus and overall meaning hinge on a brand name mention? Cover of the Rolling Stone was released by Dr. Hook in 1972. It was an instant hit in North America. But as the song made its way across the pond, it ran into a familiar wall. The BBC refused to play it. Rolling Stone Magazine is, of course, the brand name of a magazine. And thus, its mention was considered an advertisement. So the song was re-recorded. 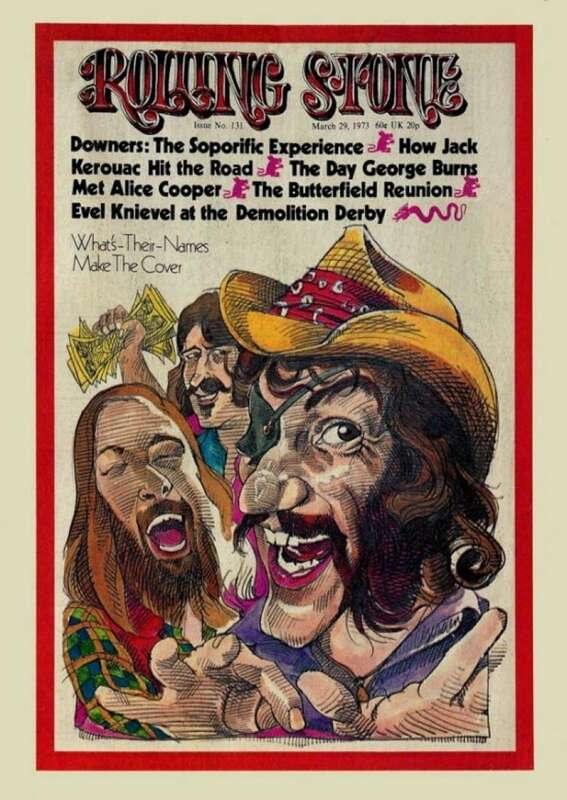 Dr. Hook & the Medicine Show made the cover of the famed music magazine in March 1973. (Best Classic Bands) A group of BBC disk jockeys wanted the BBC to air the song, so they came up with a solution: To replace "Rolling Stone" with "Radio Times." Radio Times is also a magazine - but - it was owned by the BBC – and therefore permitted to be mentioned under their guidelines. But Dr. Hook didn't re-record the song. Instead, the BBC DJs made their own version, where they simply shouted "Radio Times" overtop of every "Rolling Stone" mention. The "Radio Times" single said "Dr. Hook & Friends" on the label – the "friends" part presumably referring to the BBC disc jockeys. The song was rush-released but didn't chart in the UK. Yet the original name-check did work for Dr. Hook. Three months after the song was released, the band appeared on the March 1973 edition of Rolling Stone along with the headline: "What's-Their-Names made the cover."